To ease religious tensions, the Tanzanian government will have to reassure the Muslim public that its grievances are being taken seriously. A church and a mosque stand out looking across Stone Town in Zanzibar. Photograph by Chris Gansen. On 5 May, 3 people were killed and 67 injured in a grenade attack on St Joseph’s Roman Catholic Church in the Olasiti suburb of Arusha, Tanzania. The assault was blamed on Islamist militants and has raised concerns about Muslim-Christian relations in parts of the country. In recent months, tensions between elements of Tanzania’s Christian community – who make up an estimated 60% of the population – and some of the country’s Muslim community – who make up around 35% – have escalated, with a handful of outbreaks of communal violence. The Arusha bombing perhaps signals one of the most serious threats yet, given the scale and type of violence, but policymakers ought to be careful not to elide Tanzania’s domestic militants with their more potent regional counterparts. Tanzania’s Islamist fighters have emerged out of locally-specific contexts and histories, and the government ought to ease tensions through reconciliation and by addressing underlying grievances. In 1992, when multiparty politics were introduced in Tanzania, militant Islamism was on the rise in the wider region, especially in the then stateless Somalia and on the Swahili coast of Kenya. In Tanzania, the one-party system of the ruling Chama cha Mapinduzi (CCM) party had left the urban Muslim youth in a state of economic frustration and political paralysis. The emergence of the Islamic organisation Baraza la Uendelezaji wa Koran Tanzania (BALUKTA) – Swahili for ‘Council for the Promotion of the Koran in Tanzania’ – in the late 1980s gave a new voice to those seemingly disenfranchised Muslims, primarily in Tanzania’s economic hub of Dar es Salaam. BALUKTA staged major protests in opposition to the government’s plan to incorporate church institutions into national healthcare and education programmes. The protest movement culminated in the occupation of the headquarters of Baraza kuu la Waislamu Tanzania (BAKWATA) – Swahili for the ‘Supreme Council of Muslims in Tanzania’– a less radical and government-sponsored Islamic organisation, which had alienated many Muslims due to its staunch support of CCM’s liberalisation policies. Around this time, street battles sometimes erupted between Christian youth and their Muslim counterparts over inflammatory sermons held in mosques in Dar es Salaam. These inter-religious clashes were further sparked by agitation from BALUKTA leader Sheikh Yahya Hussein, whose followers were involved in the destruction of pork butcheries and raids on shops selling alcohol in Dar es Salaam. In April 1993, BALUKTA was officially banned on the grounds of allegedly plotting the overthrow of the government. In a new upsurge of Islamist activity in February 1998, the militant group Simba wa Mungu (‘God’s Lion’) – apparently linked to the ‘radical’ cleric Sheikh Ponda Issa Ponda – stormed the Mwembechai mosque in central Dar es Salaam. The forcible re-capture of the premises by police led to the death of at least three people. In 2002, violence erupted again when Islamic activists gathered to commemorate the Mwembechai shootings of 1998. Two more people were killed. Sheikh Ponda, allegedly an initiator of the gathering, was subsequently portrayed as the face of Islamic radicalism in Zanzibar and the coastal mainland. In recent years, Ponda has assumed leadership of the Jumuiya na Taasisi za Kiislamu (‘Association of Islamic Organisations’), making provocative public appearances and holding lectures about the necessity of a ‘Muslim liberation’. Currently, the marginalisation of Tanzania’s Muslims is most clear in Zanzibar, which has a Muslim-majority population. Zanzibar has witnessed the rise of the Uamsho (‘Awakening’) movement demanding the island’s secession from the Tanzanian mainland. In April 2012, government forces violently cracked down on the Uamsho protesters that had rallied in spite of a public ban on demonstrations. The rift between Muslims and Christians has also widened in the recent past. 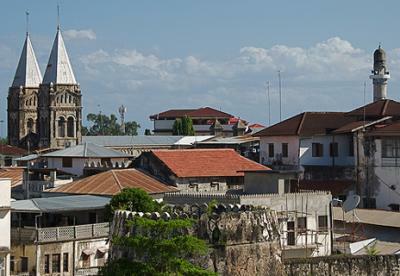 In mid-February this year, Catholic Priest Evarist Mushi was shot dead in Zanzibar’s touristic capital Stone Town. It was the second attack of its kind, following the shooting of another priest on Christmas Day. Last year, the reported desecration of a Koran also provoked the vandalising of numerous churches in Dar es Salaam. And now, the Arusha bombing further stirred the hornets’ nest. These incidents arouse serious concerns about Muslim-Christian relations in both the archipelago and the mainland. However, cross-cutting fault-lines within Tanzanian society mean broader mobilisation of Muslims against Christians is highly unlikely. Unemployment and political frustration underlie civil unrest more so than sectarian animosity. Indeed, it is from this popular discontent and feelings of abandonment by the ruling elite that the likes of Uamsho and Sheikh Ponda have drawn support. By trying to criminalise those voices, the CCM government has failed to acknowledge their legitimate political demands for economic opportunities, jobs and recognition as Muslim Tanzanians. It is crucial to distinguish between Islamic activists voicing legitimate concerns and demands – as provocative as those might sometimes be – and militants that promote the indiscriminate use of violence such as the Arusha bombing. Tanzania’s domestic militant Islamist movements are currently far more modest in capacity and scope than their regional counterparts such as al-Shabaab and al-Qaeda in East Africa (AQEA). These transnational movements may increasingly influence and manipulate Tanzania’s indigenous militants – and the 1998 bombings in Dar es Salaam and Nairobi show how easily regional Islamism can turn against a country – but the danger of this seems limited at least for the moment. To avoid this, it is crucial to recognise the unique domestic grounds out of which Tanzania’s militants have emerged and to tailor an agenda accordingly. President Jakaya Kikwete’s vow to beef up security measures at religious places of worship is a sign of pragmatism in the face of an immediate physical threat. But whilst acts of violence must be tackled decisively and without delay, the same must be done for underlying grievances. First of all, Tanzania’s Islamist movements must be seen as what they are: a home-grown domestic threat. An attempt to put Islamic activists – militant or not – under general suspicion by portraying them as the potential fifth column of al-Qaeda is likely to backfire. Instead, it is now more important than ever for the government to reassure the Muslim public that their demands are being taken seriously. The administration’s investment in long-term measures – i.e. the empowerment of civil society and the creation of public spaces for all religious communities – will be decisive for the prevention of both enduring sectarian violence and militant domestic Islamism. Despite a healthy anxiety for the security of Tanzanians, concern should not be translated into fear and paralyse societal dialogue. PreviousPrevious post:Secrecy Savannah: Is Kenya being Shaped into Africa’s Flagship Tax Haven?